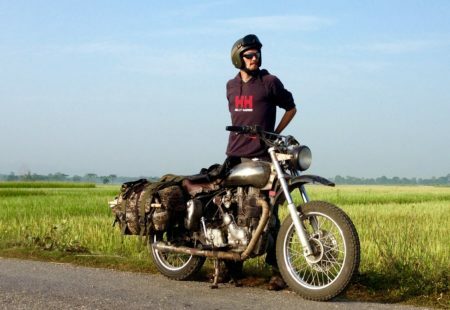 Itinerary of a curious adventurer who hasn’t left his Royal Enfield since the past 6 years. 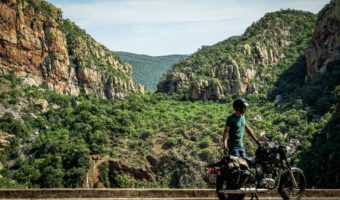 He could have been a saxophonist, a tightrope walker or an illustrator, but he became a motorcycle explorer – the best way to quench his thirst for evasion. 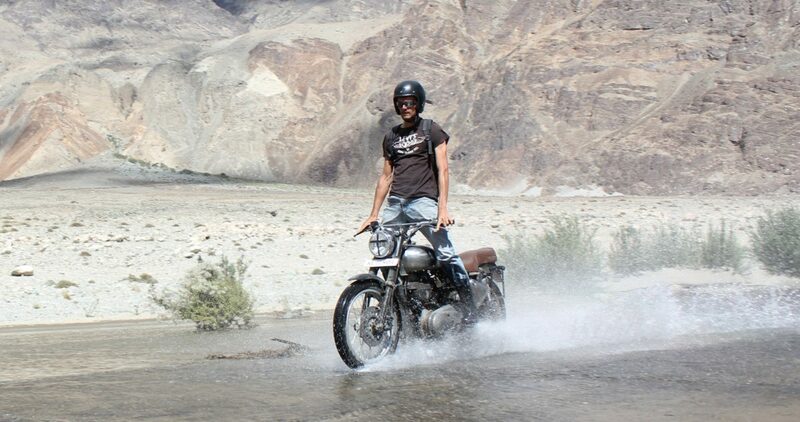 Hitting the roads of Mexico, London, Madrid and Patagonia, François was already away from France since ten years when he joined Vintage Rides in Delhi in 2010. The agency was then still a small company in development, with a promising energy fostering positive encounters and actions. The country of India pleased François almost instantaneously. « This country-continent surprises, fascinates, and in any case forces humility: welcome to the world of paradoxes ». 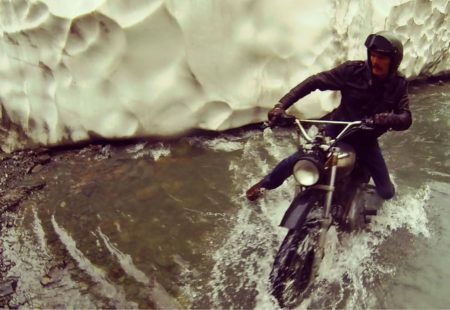 India has everything François enjoys: diversity, adversity, and an iconic motorcycle, the Royal Enfield. He immediately falls in love with the Bullet, its noise, its identity, its simplicity. During three years, he guides groups on Indian roads: Himalaya, Rajasthan, Kerala… « Physical tiredness quickly turns into an addiction to Indian’s excitement ». He remembers his first time on the high Himalayan plateau: « A true Dakar caravan, 22 Swiss guys from Valais, a dozens of staff people, several support vehicles, a tailor-made long and exhausting circuit. We were sleeping in camps, on a 3 week-trip there were only 3-4 hotels on the agenda ». In 2016, he leaves to take care of motorcycle tours in Mongolia and lives for 6 months in a yurt, in the suburb of Ulaanbataar. The Royal Enfields fleet fills up a container in front of his new home. « Who has never dreamed of waking up with ten Machismos in his garden? ». He sails in the steppe like a son of the wind and discovers a new sense of unprecedented freedom. This new experience arouses in him an irresistible urge for new horizons and a great taste for nomadism. New destinations are emerging, Vintage Rides needs him on the field, to research and build several itineraries, guide the first tours and pass on the baton. Pace is getting more and more intense, Sri Lanka, Nepal, and South-East Asia. François has all the cards he needs: experience with groups to create itineraries which satisfy riders’ needs, and skills to manage the necessary logistics of the tours. « Discovering, adapting, learning, initiating new meetings, the adventure is constantly evolving ». 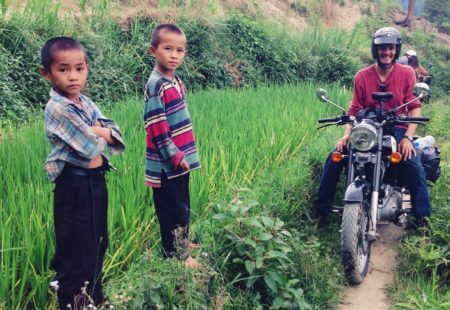 He found a way to escape inaction by sharing with others what he loves most: exploring new places on two wheels. 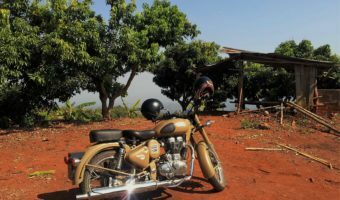 Guiding a group of bikers is the promise of varied and enriching encounters. François takes pleasure in using his pedagogy to accompany novice bikers who came riding in unfamiliar terrains. « Beginners, those who challenge themselves, who need my support to carry out a dare, a dream ». Always up for adversity, François has a weakness for tours which turn into tests. « When the weather unleashes, it’s slipping, we have mud on our boots and keep on smiling, when I see my companions proud and satisfied with the accomplished effort… It builds up the best memories. » After having guided more than 300 riders, François shares his most vivid memory. « It was in Mongolia with Marius. Only one guy in the group, my rider has only 6 months of license, no off road experience, we leave for a one-to-one ride in the desert: unforgettable ». 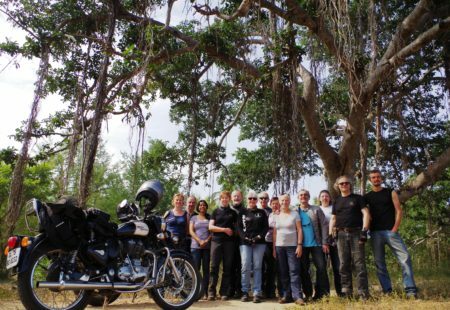 Encounters include also ones with the agency’s other tour leaders: motorcycle adventures with Morgan, Johann, Josh and Pascal. « The euphoria of meeting on the roads with our groups, share our stories and latest findings is great. 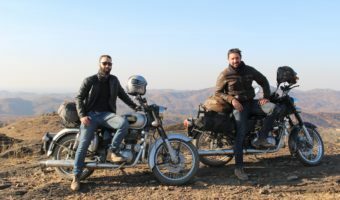 » Vintage Rides is a dens of motorcycle guides driven by passion of bike trips, with everyone doing its own way and passing the baton on to newcomers. When the weather unleashes, it’s slipping, we have mud on our boots and keep on smiling, when I see my companions proud and satisfied with the accomplished effort… It builds up the best memories. 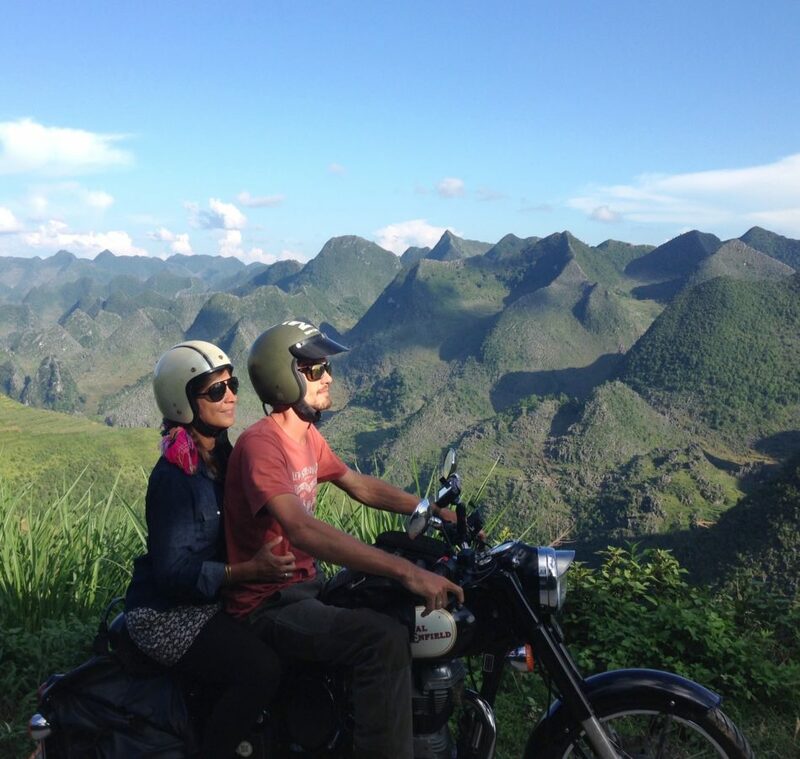 If you don’t brutalize it, this motorcycle takes you to the other side of the world! With his cooperative mono-cylinder, François found his perfect match, a complete harmony with his machine. He enjoys the delight its first kick gives him like the very first day. His customized Machismo 500 that he owns for many years is, according to him, the greatest joy of all Royal Enfields. « With its long-stroke engine and lightweight crankshaft, it is always readily available, a pure pleasure ». Naturally the bike becomes a way of life, at work, on holidays, in New Zealand or more recently in Vietnam. Back in his European days he used to ride a Kawa 650 supermot, but has quickly forgotten his desires of a Japanese companion. 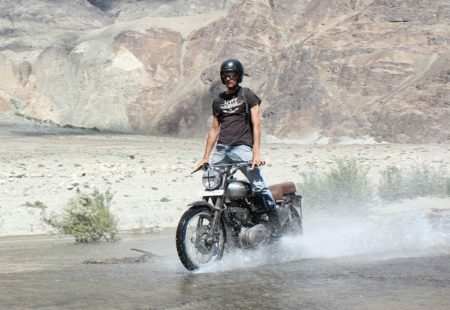 « No need for this kind of motorcycle in Asian countries, everything happens at another pace, Royal Enfield is made to take your time. Soft, characterful, constant, it raises desire to travel the long course. » He tells us that a roadtrip from Delhi to Ulaanbataar is a something he often thinks about. For now, the next motorcycle adventure begins in Thailand, Chiang Mai, for a first season in the heart of the Golden Triangle. 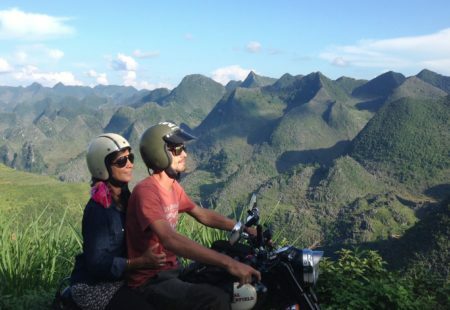 News: François will guide all of our Thailand motorcycle tours of the 2016/2017 season. Contact Denise – denise@vintagerides.com - for more information.